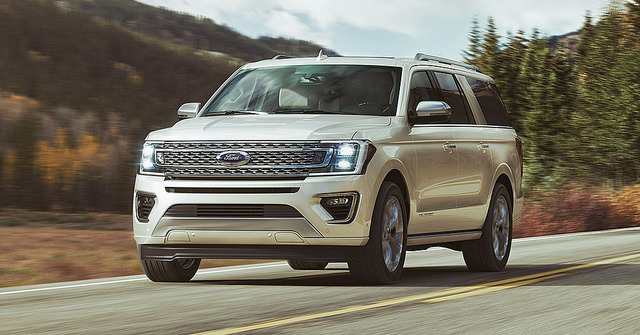 According to The News Wheel, the Expedition earned a 5-Star Overall Safety Rating by getting nearly perfect scores in the New Car Assessment Program’s crash tests. Features that helped it to earn such a rating include high-strength, military-grade aluminum alloy in the body; a fully-boxed steel frame; and driver-assist technologies aimed at providing confidence behind the wheel. These high-tech safety features include Lane-Keeping System, Pre-Collision Assist with Pedestrian Detection and Forward Collision Warning, and auto high-beam headlamps. The 2018 Ford Expedition is big in more ways than one. It’s imposing in size and a great value, perfect for your family needs or making first impressions. To test-drive the Expedition and experience its award-winning safety in person, stop into Sanderson Ford.